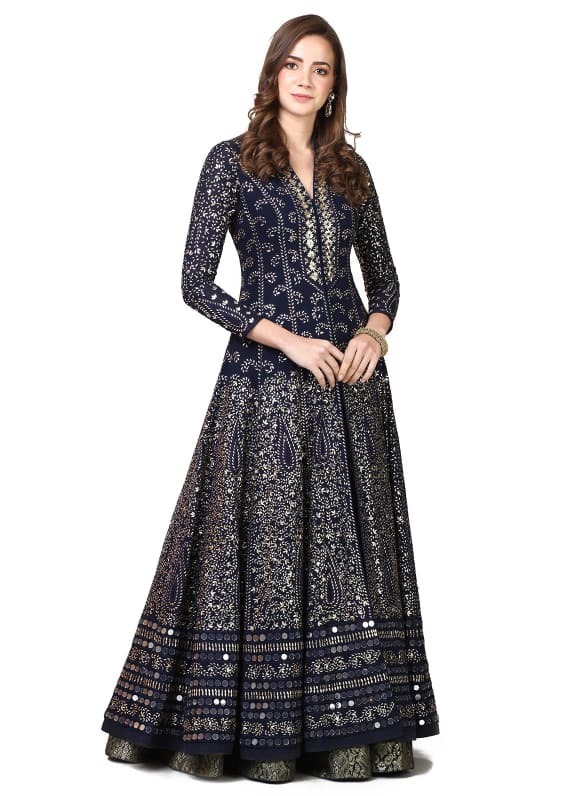 This set features a navy blue anarkali kurta in georgette base with heavy hand embroidery. 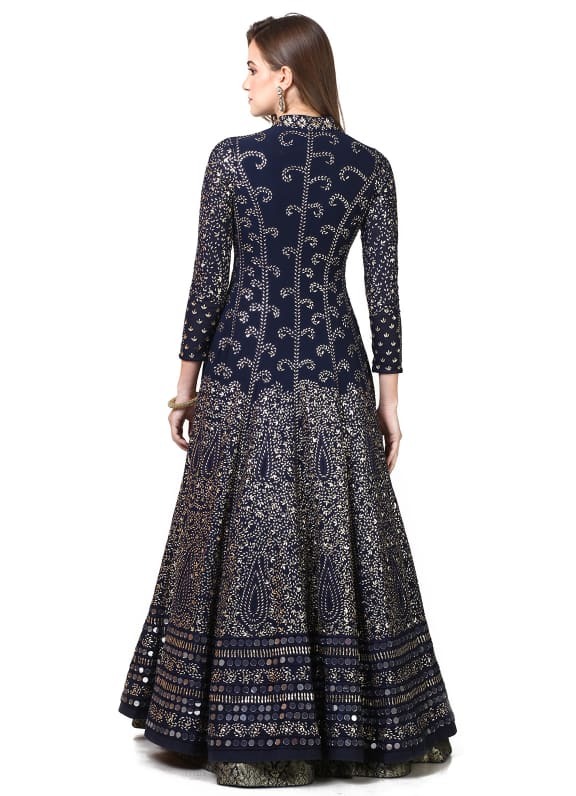 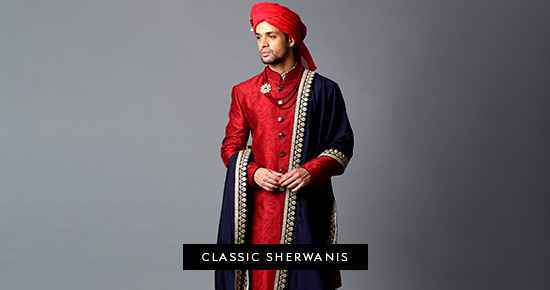 It is paired with a matching brocade lehenga. 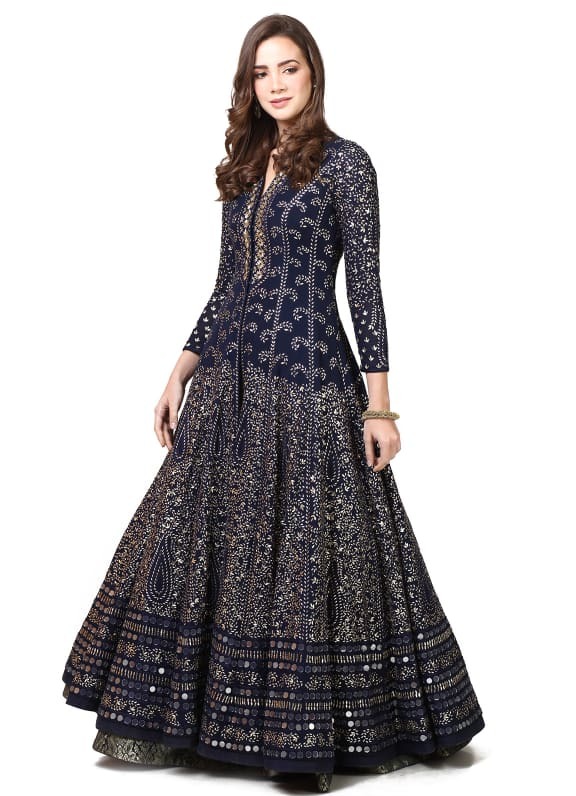 Turn heads as you don this royal anarkali outfit for a sangeet night or reception and complete your look with a pair of Amrapali earrings and Amethyst bangles.